The UC Davis Departmentof Entomology and Nematology has scheduled a fifth anniversary celebration of its bee garden on Saturday, May 2. It's difficult to believe that the Häagen-Dazs Honey Bee Haven is five years old. But it is, and the event will take place from 10 a.m. to 2 p.m. 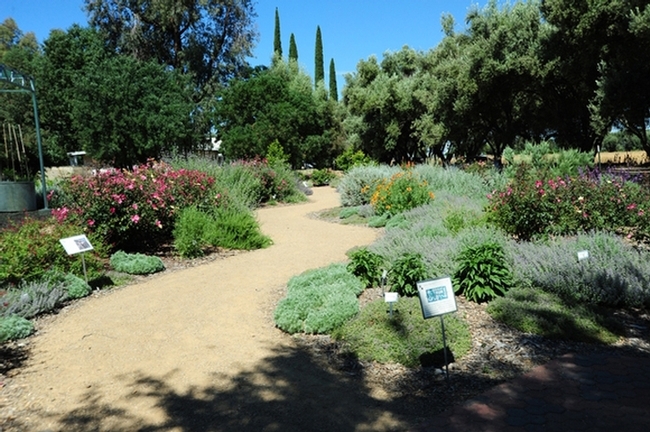 The half-acre bee garden, planted in the fall of 2009, is located on Bee Biology Road next to the Harry H. Laidlaw Jr. Honey Bee Research Facility, west of the central campus. A public ceremony will be held from 10:30 to 11:30 a.m.
Michael Parrella, professor and chair of the department, will welcome the crowd at 10:30 a.m. Lynn Kimsey, director of the Bohart Museum of Entomology and professor of entomology, was the interim chair of the department and directed and organized the installation of the garden. It was planted in 2009, thanks to a generous donation from Häagen-Dazs. 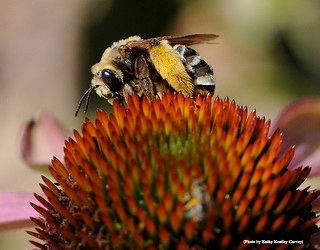 More than 50 percent of their ice cream flavors depend on pollination. Christine Casey, manager of the haven, will discuss “What Your Donations Mean to the Haven” at 11:15. What can you do in the bee garden? Walk the paths. Admire the flowers. Admire the pollinators. Learn how to observe and identify bees, what to plant to help bees, and how to use native bee houses. There also will be beekeeping demonstrations and garden tours. The garden is open to the public from dawn to dusk every day. Admission is free. Tours (a nominal fee is charged) can be arranged with Casey at cacasey@ucdavis.edu. To book a tour, access the website and click on "Visit Us." The design is the work of a Sausalito team--landscape architects Donald Sibbett and Ann F. Baker, interpretative planner Jessica Brainard and exhibit designer Chika Kurotak--the winners of the international design competition. Read more about the garden here! How it all began, who the founding manager was and the honor she and the 19 volunteer gardeners received, and who built the state-of-the-art fence around the garden. We remember when it was an open field with jack rabbits bounding through the tall grass and red-tailed hawks circling above. The rabbits still bound (but not inside the garden) and the hawks still circle looking for prey. Former UC Davis Chancellor James Henry Meyer (1922-2002) would have been proud. His daughter-in-law, Mary Louise “Mary Lou” Flint, a longtime leader of the University of California Statewide Integrated Pest Management (UC IPM) Program and a newly retired Extension entomologist with the UC Davis Department of Entomology and Nematology, will be honored at a dinner on Dec. 1 as the recipient of the 2014 James H. Meyer Distinguished Achievement Award for her outstanding contributions to the university. The event will take place at 6 p.m., in Ballrooms B and C of the UC Davis Conference Center. Reservations may be made by contacting UC Davis Special Events at (530) 754-2262 by Nov. 24. 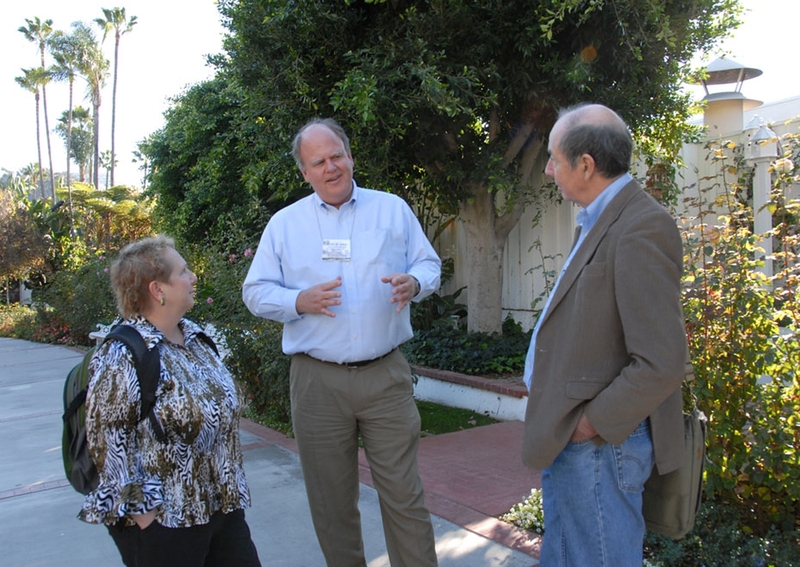 Flint, UC IPM's associate director for Urban and Community IPM, and who retired at the end of June, is the third entomologist (Frank Zalom, 2004, and Thomas Leigh, 1988) to receive the Academic Federation award, first presented in 1971. Her father-in-law, who served as chancellor from 1969 to 1987, during the university's greatest period of growth and change, strongly supported the Academic Federation and the Cooperative Extension Specialists, Agricultural Experiment Station researchers and other non-Senate academics it represents, Flint said. 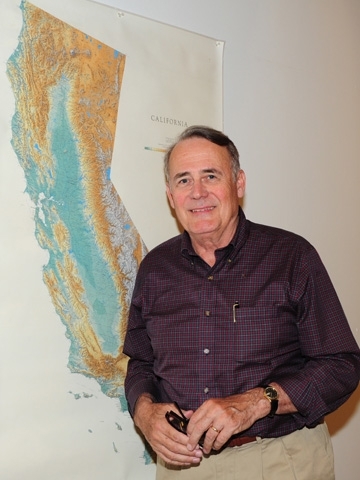 Michael Parrella, professor and chair of the UC Davis Department of Entomology and Nematology, nominated Flint for the award. “Her name is synonymous with IPM, pest control alternatives, and public service, not just in California and the United States, but worldwide,” he wrote in his letter of nomination. Wrote UC IPM Director Kassim Al-Khatib: “Dr. Flint has initiated, conducted, and established an outstanding and well respected IPM research and outreach program for urban and community. 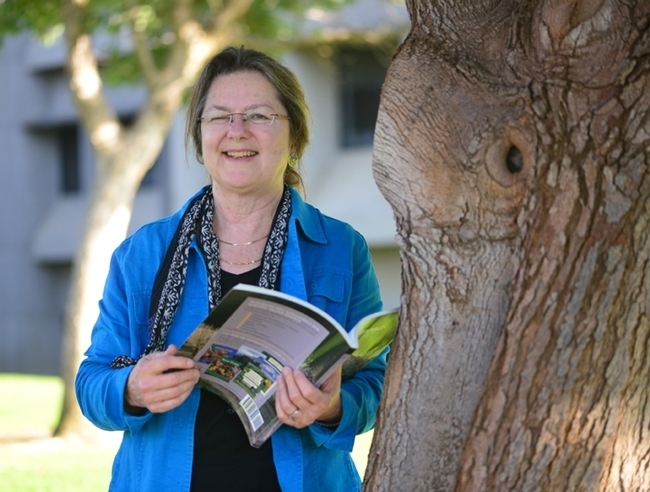 Many of her programs and findings have significant impact on pest management in California. She is a talented, capable specialist and good communicator to the IPM end-user.” Globally, the UC IPM program is considered the gold standard of IPM. Flint received her bachelor's degree in plant sciences in 1972 from UC Davis, and her doctorate in entomology from UC Berkeley in 1979. 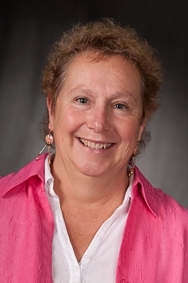 “We are fortunate that she chose to spend her career here at UC Davis,” Parrella said. Created, wrote or edited and oversaw the development of the UC IPM's IPM Manual series of books from 1980-2007; this series includes IPM manuals on 15 different agricultural crops or crop groups. More than 100,000 copies of these books have been sold worldwide. Oversaw the development and creation of the online UC IPM Pest Management Guidelines from 1987-2007. This series included 43-crop specific PMGs featuring hundreds of pests and thousands of photographs and authored by UC experts around the state and updated regularly. Flint served as technical editor. She developed many online tools associated with the PMGs such as the Natural Enemies Gallery and the Weed Galleries. 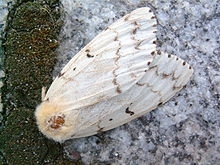 Established the UC IPM Pest Note series for home, garden, landscape and urban audiences. This series covers more than 165 pests. About 12,000 people a day access these publications on the UC IPM Home and Garden website. Authored several important books on IPM including Pests of the Garden and Small Farm, IPM in Practice: Principles and Methods of IPM and The Natural Enemies Handbook. She developed the Pesticide Compendium series along with Patrick O'Connor Marer. Created some of the earliest interactive learning tools of IPM, including the 1996 CD-ROM Solving Garden Problems: A University of California Interactive Guide and The UC Interactive Tutorial for Biological Control of Insects and Mites (an interactive CD-ROM, Publication 3412). She and her colleagues also created some of the first online training materials for IPM with online training programs for retail nursery and garden center personnel. The UC Guide to Healthy Lawns on the UC IPM website is another key accomplishment. UC IPM takes its 16 portable UC IPM Touch Screen IPM kiosks to hundreds of retail stores and community events. More recently, Flint has been heavily involved in creating YouTube videos on the UC IPM channel and disseminating information through other electronic and social media. 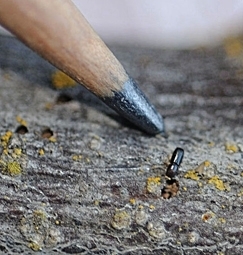 Lately Flint has been involved with the thousand cankers disease, caused by the walnut twig beetle, Pityophthorus juglandis, in association with the fungus, Geosmithia morbida. The disease kills walnut trees, especially black walnuts. She continues to work on the project with research entomologist Steven J. Seybold of the USDA Forest Service, Pacific Southwest Research Station, Davis, and other scientists. Seybold, an affiliate of the UC Davis Department of Entomology and Nematology, said that on a national level, Flint was "instrumental in facilitating the rapid processing and release of the national trapping guidelines for the walnut twig beetle." Widely honored by her peers, Flint received the 2002 Outstanding Lifetime Achievement Award for Integrated Pest Management from the Association of Applied IPM Ecologists; a 2003 IPM Innovator Award from the California Department of Pesticide Regulation as part of the Sacramento Water Wise Pest Control Program; a 2003 resolution from the Sacramento City Council honoring her for contributions to the Sacramento Water Wise Program; a 2004 Environmental Services Award from the San Francisco Department of the Environment; and an international IPM Award of Recognition, “Grower Incentives Team Project,” at the 2009 International IPM Symposium in Portland, Ore.
Flint is not only the third entomologist to receive the award, but the third IPM specialist. Frank Zalom, a distinguished professor in the UC Davis Department of Entomology and Nematology, directed the UC IPM Program for 16 years (1988-2001). He is currently serving as president of the 7000-member Entomological Society of America. 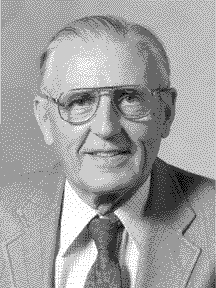 Thomas Leigh (1923-1993) stood at the forefront of integrated pest management of cotton pests, according to an article in the summer 1994 edition of American Entomologist. He taught courses on cotton IPM and host plant resistance. Bugs will rule at the 99th annual UC Davis Picnic Day this Saturday, April 20. 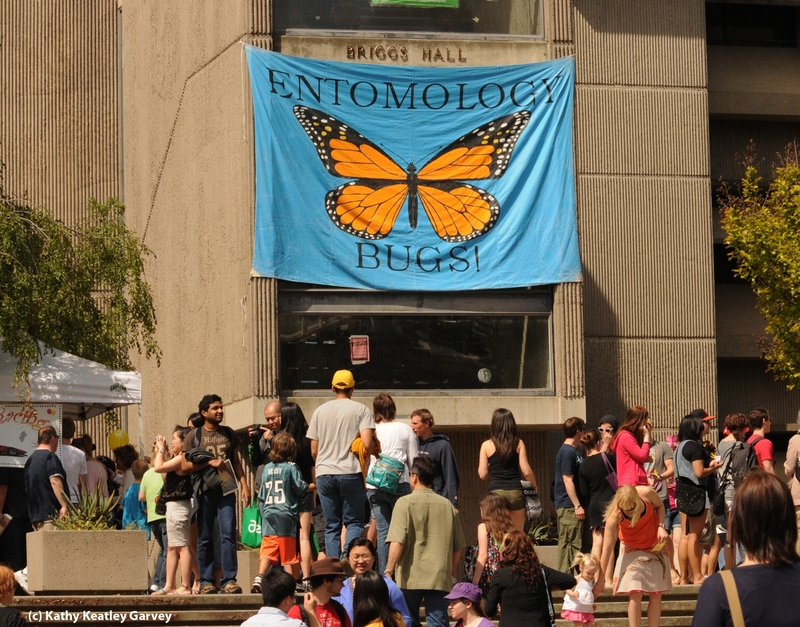 The UC Davis Department of Entomology is planning lots of "bug" activities as part of the campuswide celebration. Visitors to Briggs Hall and the Bohart Museum of Entomology will find much to do and see from 10 a.m. to 3 p.m.
Forensic entomologist Robert Kimsey, coordinator of the department’s Picnic Day activities, says there will be cockroach races, termite trails, ant colonies, Maggot Art, face-painting, fly-tying, honey tasting, T-shirt sales, and much, much more at Briggs Hall. Briggs is located off Kleiber Hall drive, near the campus police and fire stations, while the Bohart Museum is in Room 1124 Academic Surge on Crocker Lane. The Bohart Museum, home of nearly eight million insect specimens, will feature wasp nests in its new display case. Displayed will be nests once occupied by European paper wasps, yellow jackets, carpenter bees and bumble bees. The Bohart also will include a live “petting zoo” where visitors can hold Madagascar hissing cockroaches, a rose-haired tarantula, and walking sticks. 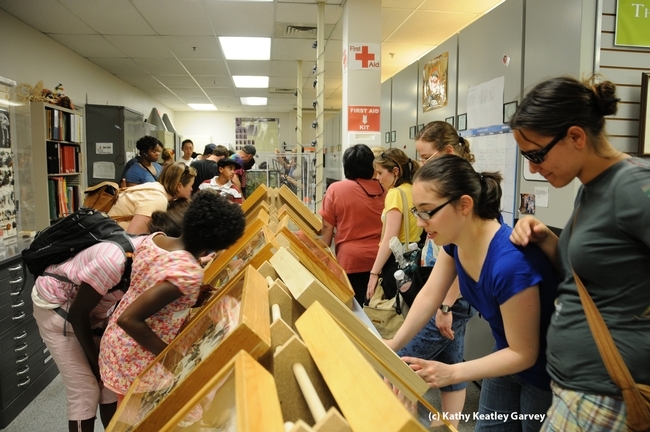 Lynn Kimsey, professor of entomology, directs the Bohart Museum. At Briggs, you can also expect to see forensic, medical, aquatic, apiculture, and forest entomology displays, as well as a honey of a honey tasting. In the courtyard, Extension apiculturist Eric Mussen will share six varieties of honey: manzanita, lima bean, pomegranate, almond blossom, orange blossom, and Northern desert shrub Nevada), a reddish honey. In Room 122, staff research associate/beekeeper Billy Synk of the Harry H. Laidlaw Jr. Honey Bee Research Facility will provide a bee observation hive. One of the most popular activities at Briggs is Maggot Art, a term trademarked by forensic entomologist Rebecca O’Flaherty, a former doctoral candidate in entomology at UC Davis. This involves dipping a maggot in non-toxic, water-based paint. “Artists” pick up a maggot with special forceps, dip it in the paint and then let it crawl on white paper. O’Flaherty launched Maggot Art in 2001 at the University of Hawaii as a community outreach project when she was teaching entomology to youths. 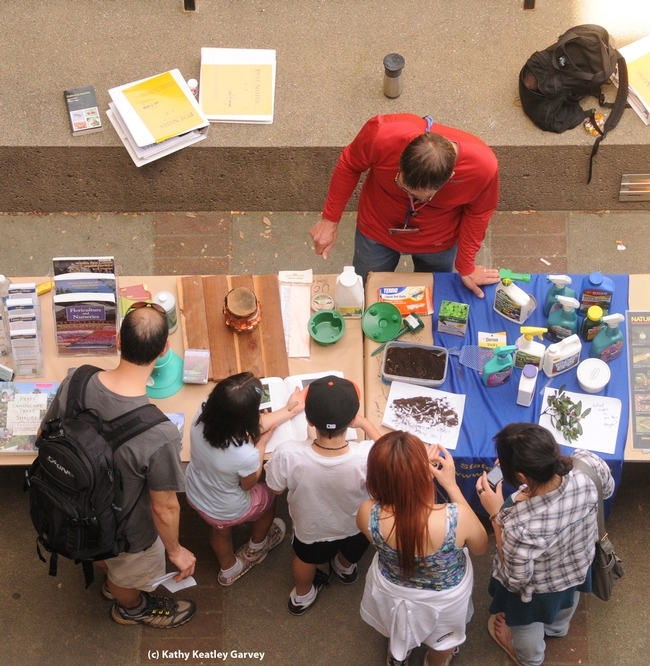 The UC Statewide Integrated Pest Management Program (UC IPM) will set up its traditional display in front of Briggs Hall where visitors can learn about managing pests in their homes and garden. 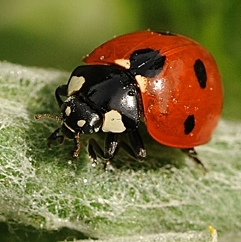 In addition, UC IPM will give away live lady beetles (aka ladybugs) to children. Plans at Briggs Hall also call for a “Bug Doctor” to answer insect-related questions. The doctor is in! Last year’s “Bug Doctors” included Michael Parrella, professor and chair of the UC Davis Department of Entomology. It will be like "old home week" when professor Kelli Hoover of Pennsylvania State University presents a seminar on Tuesday, March 5 on the UC Davis campus. 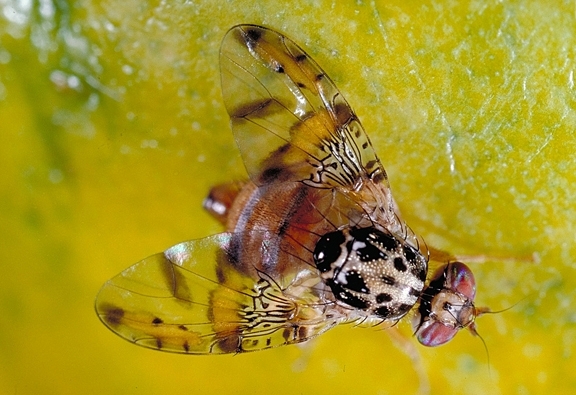 Hoover, who received her doctorate in entomology from UC Davis in 1997, will discuss “Co-Evolution in a Host Baculovirus System” from noon to 1 p.m. in 366 Briggs Hall. She will be in California in conjunction with her trip to Ventura to participate in the Gordon Research Conference, an international forum for the presentation and discussion of frontier research in the biological, chemical, and physical sciences, and their related technologies. Hosts are Bruce Hammock, distinguished professor of entomology; Michael Parrella, professor and chair of the UC Davis Department of Entomology and Nematology; and researcher George Kamita of the Hammock lab. While a grad student at UC Davis, Hoover studied with major professors Bruce Hammock and Sean Duffey (1943-1997). 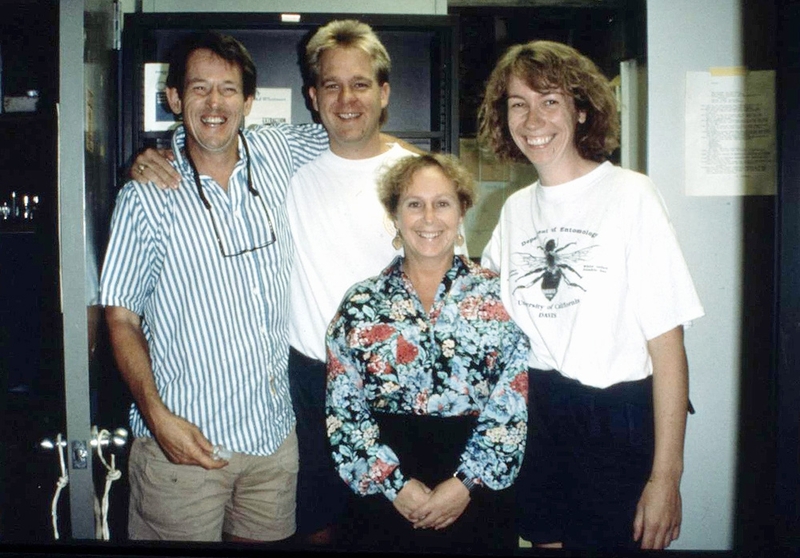 After a one-year postdoctoral position at UC Berkeley, she joined the faculty of the Penn State University Department of Entomology in 1998. Her research program at Penn State focuses on invasive species, including development of trapping techniques for the Asian longhorned beetle; gut microbial symbionts of the Asian longhorned beetle and hemlock woolly adelgid; functions of key viral genes in transmission of the gypsy moth baculovirus and anti-viral defenses; and biological control of hemlock woolly adelgid. Hoover is the lead author of the highly acclaimed research, “A Gene for an Extended Phenotype,” published Sept. 9, 2011 in Science. It was selected for the Faculty of 1000 (F1000), which places her work in its library of the top 2 percent of published articles in biology and medicine.